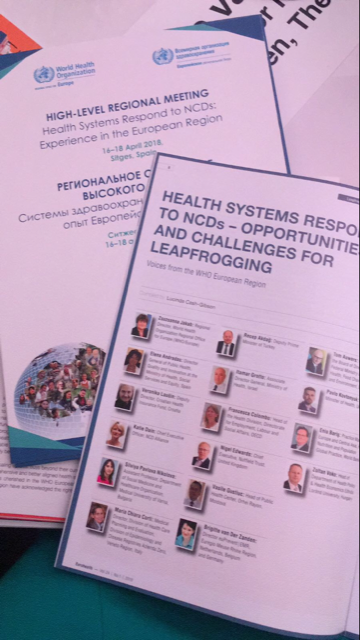 During World Health Organization’s (WHO) High-level regional meeting in Sitges (16-18 April, 2018), the article ‘Health Systems respons to noncommunicable diseases (NCDs): the opportunities and challenges for leapfrogging’ was presented. With Brigitte van der Zanden, director of the euPrevent | EMR foundation, as one of the voices from the WHO European Region. Read the whole article in Eurohealth, volume 24, number 1, 2018, page 8.